When you sustain an injury or illness at work, workers’ compensation can provide valuable benefits while you recover. Qualified employees can receive medical treatments, partial lost wages, and/or a settlement for permanent disability or disfigurement that resulted from the workplace injury. Workers’ compensation and injury laws are complicated, however, and too many injured or ill workers do not realize that they are receiving less than they deserve. A qualified workers’ comp and injury lawyer can advise you of your rights and evaluate the best course of action in your case. Simply because you sustained an injury does not automatically mean that you will begin receiving the full amount of benefits you deserve. In fact, too many employers and insurers work to limit liability and benefits for injured workers whenever possible. This can result in benefits that are too low and often in a minimal settlement offer. The assistance of an injury attorney can immensely improve our chances at obtaining the full amount to which you are entitled under the law. Many workers fail to receive full workers’ comp benefits because they do not discuss their case with an experienced attorney. They may believe that their employer has their best interests in mind though, unfortunately, that is not always the case. If you have suffered an injury, skilled workers’ compensation attorney Kenneth P. Carp can help you apply for benefits and appeal a wrongful denial of benefits. Mr. Carp can also advise you regarding settlement offers and help negotiate with the insurance company. 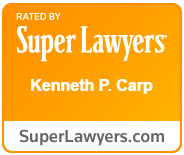 Please do not hesitate to call the Law Office of Kenneth P. Carp today at (636) 947-3600 for help today.